As a mortician, undertaker or funeral director, you will be a bridge for those who wish to make plans for their future death, as well as those who have recently survived the death of a loved one and wish for closure. Morticians and undertakers may help clients resolve insurance claims, apply for veterans’ funeral benefits, arrange transportation for mourners, decorate the sites of all services, and find resources on overcoming grief among many other diverse tasks. Funeral service managers conduct the general matters of running a funeral home, such as allocating expenses, handling marketing and public relations, and managing staff. For many who aspire to become a funeral service worker, the key to success is by obtaining an associate’s degree in mortuary science. Funeral directors and embalmers are legally required to obtain a license everywhere, except Colorado. Additionally, funeral service workers are expected to do an apprenticeship of 1-3 years under the guidance of a licensed funeral service professional. As a funeral service worker, you may need to coordinate funeral services within 24 to 72 hours of death. For many funeral service workers, this means working long, unpredictable hours in the evening and on weekends. For funeral service employees, the work is never truly done. As a mortician, undertaker, or funeral director, you will be a member of a robust, growing industry that provides vital services to those who need them. Greet people at the funeral home. Perform a variety of tasks during funerals to assist funeral directors and to ensure that services run smoothly and as planned. 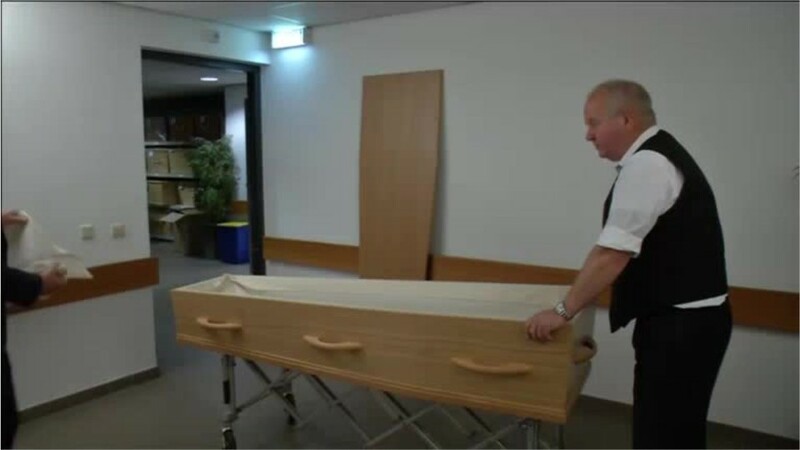 Transport the deceased to the funeral home. See more details at O*NET OnLine about funeral attendants. Funeral Attendants by U.S. Department of Labor, Employment and Training Administration is licensed under a Creative Commons Attribution 4.0 International License.